Boilers and Heating.co.uk is a trading subsidiary of MatWest GDI Ltd which was formed by Crighton Mather over ten years ago as a property development and investment company. “For years I had been paying a number of companies what seemed an awful lot of money to install and service the boilers in my portfolio. On reflection I decided to form Boilers and Heating.co.uk to initially concentrate on installing boilers into my own portfolio. The company has since grown rapidly to provide its services to Landlords, Letting Agents, Property Developers and private home owners specifically in the DL, DH and TS postcodes”. 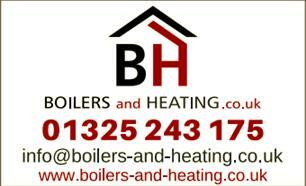 Boilers and Heating.co.uk offers top brand products at competitive prices with NO hidden extras. We offer full parts and labour warranties. We also offer very competitve finance through our FCA authorised partner Improveasy Ltd.
Barnard Castle, Bishop Auckland, County Durham, Darlington, Middlesbrough, Newton Aycliffe, North Yorkshire, Northallerton, Richmond, Sedgefield, Stockton-on-Tees, Teesside.